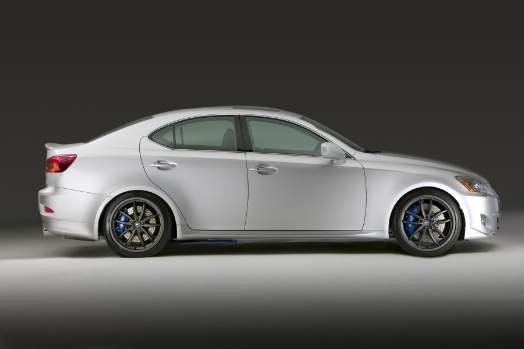 As a follow-up to the launch of the tire-shredding, spleen-compacting, get-your-license-suspended IS-F, Lexus is deploying a new line of factory-backed performance add-ons for its IS range. 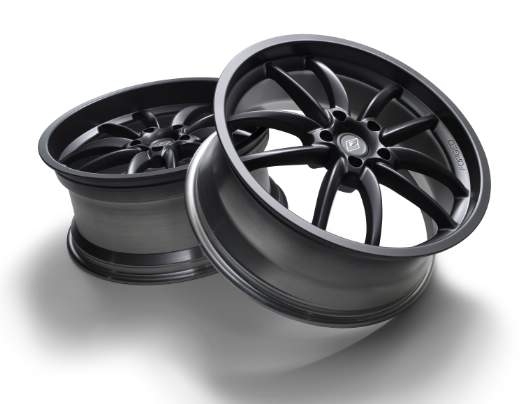 Dubbed F-Sport Performance Accessories, the parts range from reasonably priced lowering springs and sport dampers to eye-wateringly expensive brakes and wheels. Tick every F-Sport box on the options list and they add up to a not-so-inconsequential, almost Kia Soul-sized $12,619; so unless your life is utterly devoid of self control you will probably just opt for a few of them rather than going for the whole shebang. The exhaust system gives the typically silent IS 350 a Skid Row soundtrack to befit its 306 horsepower engine, and the huge 19-inch, 255 mm tread width tires bless this car with more grim than it rightfully needs, but at $5,575 for the front and rear brake upgrade we would recommend staying away from the F-Sport stoppers. Still, we like that Lexus is now giving IS shoppers aftermarket-esque, dealer-backed customization options. No one wants to void their warranty, after all. F-Sport brakes are supreme performers, but with a front set costing $3,025 and rears running $2,550, we doubt too many buyers will be eager to pick them up. Bouncy sports suspension compromises ride quality to the point where you question whether it’s really worth the extra grip. You will have to dig around a bit before you’re able to fully wrap your head around the climate controls, as temperature functions are operated by console-mounted buttons, but vent and fan controls are hidden within the navigation screen. Pasted firmly to the IS 350’s superb sports seats, the direct, weighty steering and balanced chassis give you the confidence to push hard through a corner, making you seriously question whether you're truly behind the wheel of a vehicle carrying something as mundane as a Lexus badge on the deck lid. There’s little delay to any steering inputs and once turned in, the sports suspension helps to settle the car's weight on all four corners quickly, as do the thicker F-Sport sway bars. The massive 19-inch F-Sport rims keep the car inescapably stuck to the ground. It’s a shame then, that when you go to put the power down in the proper gear, the engine quickly ratchets down a few cogs and sends you blasting off course. Even with the transmission in manual mode, you’re not immune to its desire to select lower gears for you when the throttle is pinned. Leaning on the IS, you can tell it has a well sorted, pliable chassis, and while the engine isn’t as rev-happy as Nissan’s outgoing 3.5-liter, it has a robust midrange. If only the transmission would let you enjoy it instead of constantly flinging the tach towards the redline, you might be able to better exploit its solid underpinnings. 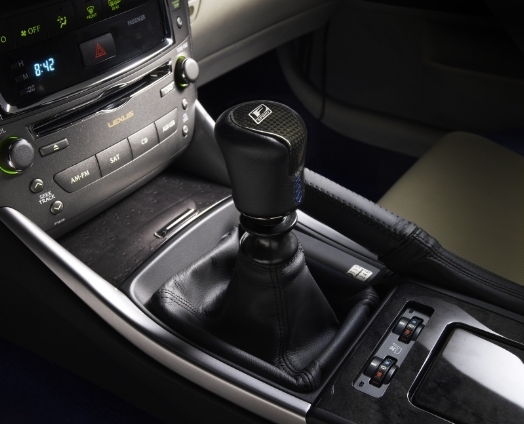 Keyless start/stop is standard, which at first seems a bit on the silly side but trust us, you’ll love the convenience. The steering wheel both tilts and telescopes, so taller drivers need not fear an uncomfortable experience behind the wheel. 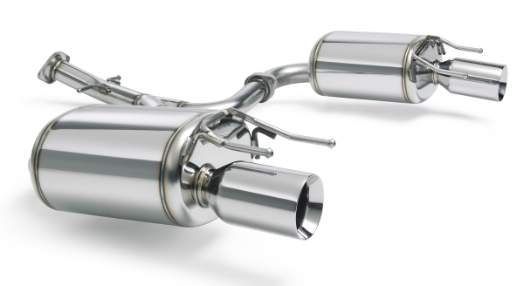 We would recommend going for the more reasonably priced F-Sport add-ons, such as springs, dampers and roll bars. Scratch the more expensive items – your bank account will thank you for doing so. Get in the car with your favorite ‘80s metal album, crank up the sound and…wow. The stock sound system boasts excellent quality and volume, and there’s a 14-speaker Mark Levinson system for those who are left wanting for more. The navigation system is both easy to read and use (you may be surprised how often that is not the case) and nav package also includes a rear camera and Bluetooth. While it’s not as frugal as the IS 250, the IS 350 returns a respectable 18 mpg city, 25 mpg highway. Lexus parent company, Toyota, knows a thing or two about reducing emissions, and has managed to pull off a ULEV emissions rating for the 3.5-liter V-6. Beginning at the front fender, the car’s high waistline continues past the C-pillars and through to the rear deck lid, Larger rims and lower ride height provided by the F-Sport suspension mods fill in the wheel wells nicely, leaving little gap between the car and its rubber soles. With a base MSRP of $36,750, the IS 350 comes in at $4,275 over an automatic IS 250. While that’s some price premium, it’s still a jaw-dropping, reality-shattering $20,010 less than the IS-F. This puts the IS 350 in the ring with similarly equipped cars such as the Cadillac CTS 3.6 ($36,265), Audi A4 2.0T Quattro ($33,050), Mercedes-Benz C300 Luxury ($34,650), Infiniti G37 ($33,250) and BMW 328i ($33,600). If you’re content with a properly quick sports sedan that’s best driven at half pace – where the antsy transmission will keep itself in check – the IS 350 won’t disappoint. The F-Sport add-ons are a nice option for anyone looking to take the car to the next level, and they don’t necessarily all have to be purchased at the same time. If you’re the type of driver who really likes to take a car by the scruff, you’d be better off doing the cog swapping yourself in a manual IS 250, or, if you’ve got the scratch, liquefying the rear tires of an IS-F.